Agatha Christie’s Hercule Poirot mysteries occupy a very special place close to my heart. They are, in my opinion, reliably enjoyable, and at this point I’m not really sure how many I’ve read or which ones exactly they are. I was assigned The Labours of Hercules to read in Latin class during middle school, but that was kind of a blur. I didn’t really “discover” her books until some time in high school, and I haven’t stopped reading them since. I recently read Magpie Murders which includes an Agatha Christie-esque mystery in it, and it left me wanting to revisit my favorite Belgian detective. I have no idea if I’ve read Peril at End House before or not, I can’t really remember, but I was in the mood for some country-village mystery and grabbed this one. Published in 1932, Peril at End House, was her sixth Hercule Poirot novel. It retailed for $2.00 in the U.S. and the UK edition was seven shillings and sixpence. Peril at End House is set in south Cornwall, the fictional seaside town of St. Loo, which was based on Agatha Christie’s childhood home of Torquay in Devon. 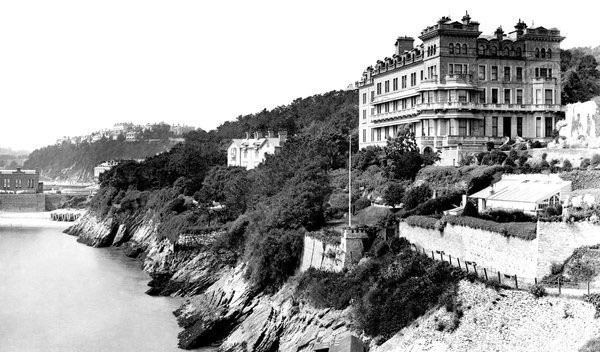 Hercule Poirot and his friend Hastings are on holiday, staying at the Hotel Majestic, which was based on the Imperial Hotel in Torquay. Poirot and Hastings come across the pretty Miss Nick Buckley, who lives nearby at End House. She has recently had a series of brushes with death — malfunctioning brakes, a falling boulder and a mishap with a painting crashing down. When the next event occurs, Hercule realizes it’s time to give up his holiday and investigate. Like most of the the Poirot mysteries, the clues start coming in hard and fast from the very beginning. By chapter three (a mere 30 or so pages in), Christie has already laid out the main story, introduced the main characters and begun the investigation. I think this straight-forwardness is part of why I like Agatha Christie novels — there’s a sense of economy. There are so many authors out there who write like they’re being paid by the page a la Dickens (who was paid for each installment and therefore had incentive to drag his novels out), but Christie is definitely not one of them. Instead of skimming pages and pages waiting for the story to “really start”, from page two you’re carefully reading through each word in a conversation, looking for hidden clues. As a lover of puzzles and clues and intrigue, I find her mysteries satisfying. They can be read relatively quickly without feeling like you were shortchanged somehow. Still, even for a fairly standard entry in her repertoire, it’s a lovely and tidy mystery that’s good to enough to have been adapted countless times into a variety of forms, from video games to radio dramas to graphic novels and of course to television as well. As for the ending, part of the fun of reading an Agatha Christie novel is trying to guess the ending as she offers just enough clues to allow you to form theories while leading up to the reveal at the end. For this reason, a certain amount of balance is necessary for a good mystery. You want enough information doled out in a timely manner so that the ending doesn’t seem out of left field, and then the rest of the information serves to confirm your theory or move you in a different direction as you get closer to the end. The ability to manage this delicate balance is part of what makes Agatha Christie indomitable in her field. In Peril at End House the clues are definitely there in order to have an inkling of what the end will be so that it doesn’t feel random, though they are quite subtle. Every piece of information matters in an Agatha Christie novel, and that’s part of the fun for me. Overall, I’d say this book has one of the more entertaining endings but it’s one of the tougher ones to figure out, even as I was trying to pick through the lines very carefully for clues. It’s part of the ingeniousness of the book that you only realize really important pieces of information are just handed to you outright (and very early on), but you, of course, chose to gloss over them in the context of the novel. When I finally got to the end and thought it over, the “subtle” clues seemed so obvious in retrospect — the sign of a great mystery. If you’ve never read an Agatha Christie novel, there’s really no bad place to start (except for maybe the Big Four which is easily my least favorite). If you have read something of hers before, you probably know whether her writing style suits you. I think I probably wrote this post mostly because I love her books and it seems off that I don’t have any posts about any of her works so far! Any other Agatha Christie fans out there? How did you discover her? Do you remember the first book of hers that you read? On holiday on the Cornish Riviera, Hercule Poirot is alarmed to hear pretty Nick Buckley describe her recent “accidental brushes with death.” First, on a treacherous Cornish hillside, the brakes on her car failed. Then, on a coastal path, a falling boulder missed her by inches. Later, an oil painting fell and almost crushed her in bed. So when Poirot finds a bullet hole in Nick’s sun hat, he decides that this girl needs his help. Can he find the would-be killer before he hits his target? Awesome review. I also love that her books are straightforward. When you pick one up you know what to expect. I have never been disappointed by her books. No one writes an ending quite like she did! Thanks Kristin, and I totally agree about the end. I couldn’t believe what I had missed while I was reading — I literally took notes to since I was determined to figure it out, but no dice. I went back through the book after and afterwards the clues seem so transparent. Sigh. She’s the best. My first Agatha Christie novel was And Then There Were None in school, that was one of the first required reading books that I really liked. Thanks for this review. Oh that’s a great one, Amy! Thanks for sharing that and thank you for reading the review! Thanks Rekha! Always nice to come across fellow fans! Did you watch the movie version of it? What did you think? I don’t think I’ve read those two, but I’ll keep that in mind, since I definitely plan on reading even more of her books. Thanks for your thoughts! And happy reading! I am watching the movie right now. 😀 I loved David Suchet as Poirot. 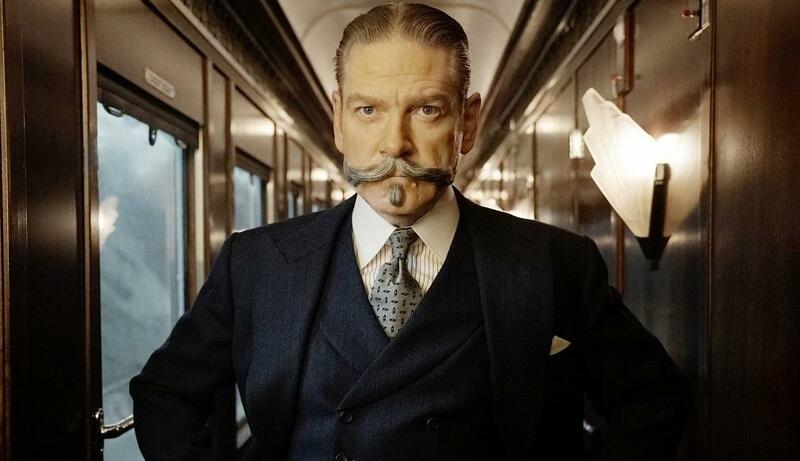 The new movie is not bad but I wish it was David Suchet as Poirot. 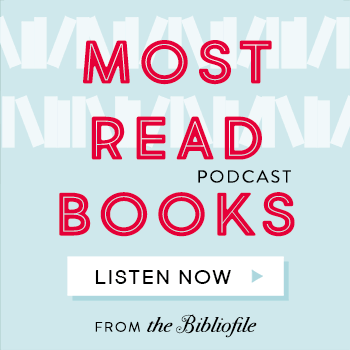 Other than Poirot, Mr. Quinn, Tommy and tuppence, and even Miss Marple are good. Have you read those? Great review! I completely agree with your take on her novels. My very first Christie was a Miss Marple story- A Pocketful of Rye. My all-time favourite is, of course, And Then There Were None. I think I’ve read this one at some point, but it’s all mixed up with the rest. Have you read any of the Tommy and Tuppence books? Thank you! Yeah, and then there were none is a book I need to re-read, I think the last time I read it was in high school. I do think it was probably a contributing factor in my becoming a die-hard Christie fan. I actually haven’t read those yet, but I’m sure it’ll happen sooner or later. :) Thanks for dropping by! What a thoughtful review! The setting of this novel sounds charming, though I’m sure it will include disturbing bits. I seem to read Agatha Christie’s stories only after somebody has literally put the book in my hands. I always end up enjoying them though. Maybe I’ll pick this one up only through the sheer force of your review! Thank you so much — I hope you enjoy it if you get a chance to read it! And thanks for dropping by! She is queen of the subtle jigsaw! Great points about the deceptive simplicity of Christie’s style. Her language is so clear and economical, yet it’s always communicating something about the mystery and keeping the story moving along. And of course Poirot is the best! Thank you! I love how she manages to communicate so much in so few words but also hide clues in there and give characters clear personalities as well. Thanks for dropping by! That story is so adorable — I definitely have friends who are really eager for their kids to be old enough that so that they can share the things they love with them, and I know they would be so happy if that happened for them. I think those were both books of hers I read early on as well. Thanks so much for sharing and thanks for dropping by! I haven’t read an Agatha Christie in years. You make me want to go get a bunch. Thanks for the post. I love Agatha Christie – in fact my cats are called Tommy and Tuppence after her detective duo! I’m fond of this one – it’s not her best, but I did find it an intriguing mystery and I thought she did particularly well with the placing of the clues. That’s so cute — I love it! Those are perfect pet names! And yes I totally agree about the clues in this one, when I realized how the whole thing with the names should have been a huge red flag, I felt so silly. I literally took notes while I was reading this to try to figure it out…but was bested by Christie of course, haha. Thanks for reading and sharing that about your cats, I’m so entertained! This was so much fun! I’m a big Agatha fan, even though I haven’t read her for a long time. I need to remedy that. You’ve made me miss her. I’m thinking of saving her for over the holidays as a special treat to enjoy. Hi Monica, thanks for dropping by and sharing your thoughts — love hearing from other Christie fans! And yes, that mustache was…something, haha. I rated this one similarly to yourself. It was my first Christie novel and I enjoyed it, but the tropes were a bit funny. If you’re looking for another Christie novel, I’d suggest And Then There Were None next! 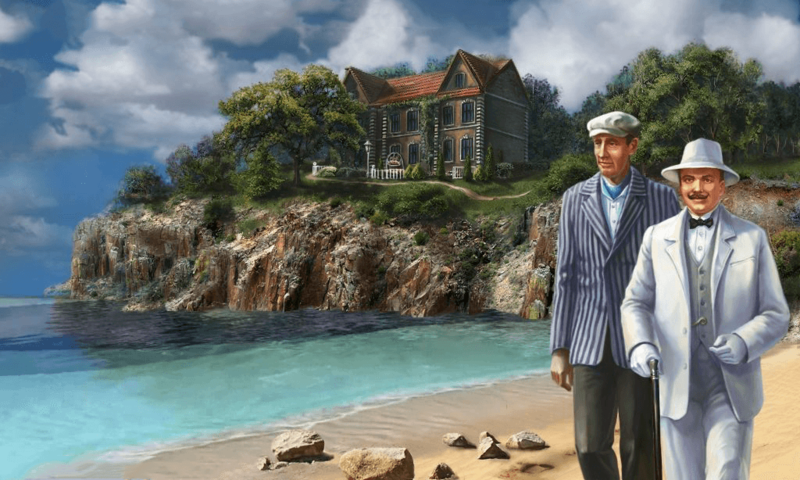 I’ve never read an Agatha Christie novel before, but I had read a post from a fellow blogger who wrote a mystery in her style of writing which I enjoyed. So I’m reading various reviews trying to just pick one. You’ve given me a good start. :) I was thinking about checking out Murder on the Orient Express as well. I usually suggest And Then There Were None in that situation, but honestly, most of them are really solid. Have fun discovering Agatha Christie, and I hope you love her as much as I do! I really enjoyed reading your review. You have a good concept and it has uniqueness. I have to admit that I haven’t read anything by Agatha before, although I probably will at some point. Hi Irena, thanks for the kind comments! Hope you like her work if you get the chance to check it out, I’d highly recommend it. And thanks for dropping by! Yes, you’re so right about the subtle clues being right there. Sign of a great writer. Thanks for the great review. Cheers. This is such a great review. I love how you include some background on the novel as well as that extract from Christie’s autobiography. I will definitely be checking this one out! I love Agatha Christie and all her books. Hercule Poirot is my favorite detective. I believe I started with And Then There Were None and I was hooked for life. Haha, yup! There’s no one quite like Hercule Poirot! Thanks for dropping by! Great review! I have only read one book by her, murder on the orient express. I liked her writing style and the fact that the mystery begins from the first page like you mentioned. This one sounds really good too. I do find Christie’s books satisfying and agree that there’s a sense of economy. And I love the way they all come together in the end- and this sounds like it does exactly that. Great review! I also love Christie’s straight and to the point style! I know exactly what I’m getting format-wise, which, ironically, works really well with mysteries. I haven’t gotten to Peril at End House yet, but I’ve got it checked out from the library! Ooo hope you love it and thank you for your thoughts!